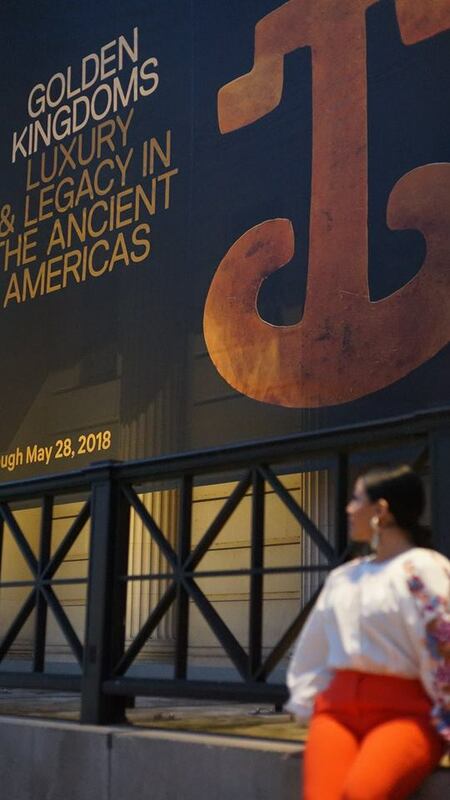 About a month ago I received an invite to preview an exhibition that was first shown at the Getty in California as part of Pacific Standard Time: LA/LA (PST, for short). As PST began to wind down, I was disappointed I wasn't able to make it to the west coast for at least a taste of PST but I was thrilled to find out that a few of the shows would make a much-needed appearance on the east coast. So when the invite hit my inbox, I was more than happy to accept. It was on a Monday night but what's one day off from work? I got the day off, invited a work colleague and began searching for the perfect outfit. 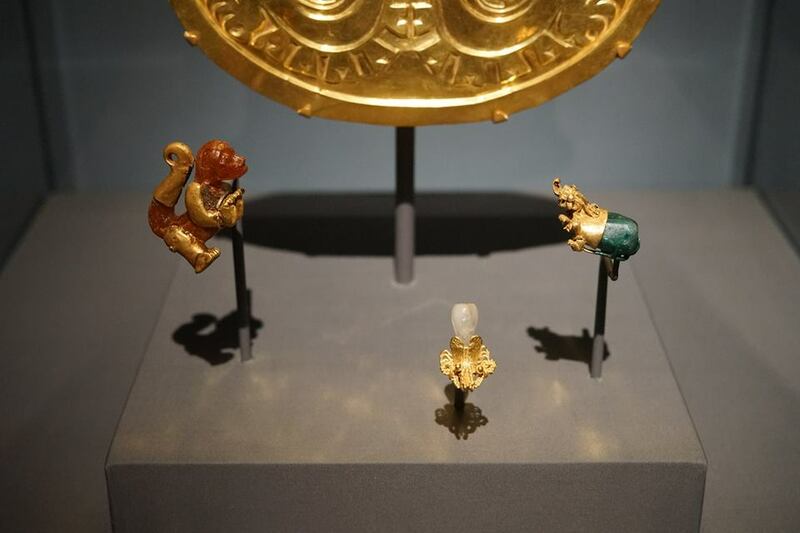 Golden Kingdoms: Luxury & Legacy in the Ancient Americas is a stunning exhibition that has brought together many priceless gold ornaments and colorful textiles from museums all over Latin America. I could not wrap my head around the effort it must have taken to get every loan contract in order for this traveling exhibition. 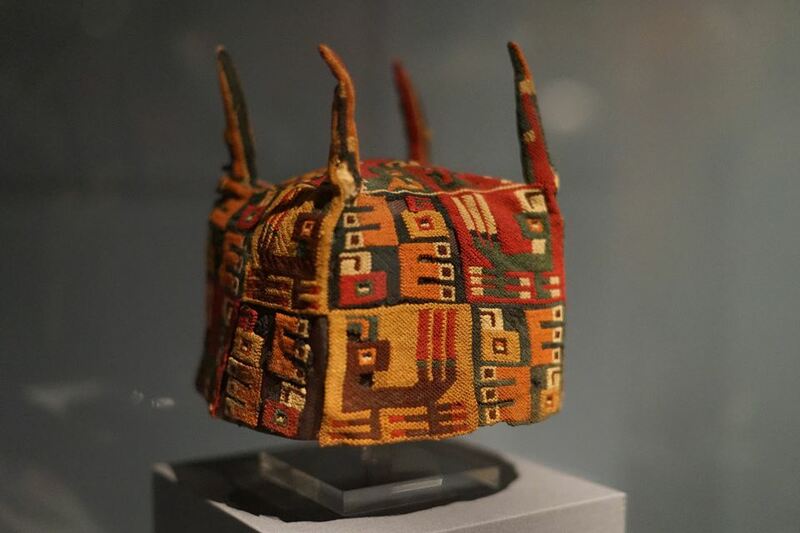 Over 300 works from so many museums, some that have never left their country before. Not only was this a logistical feat, but I'm sure an emotional one for all those involved in making this happen. 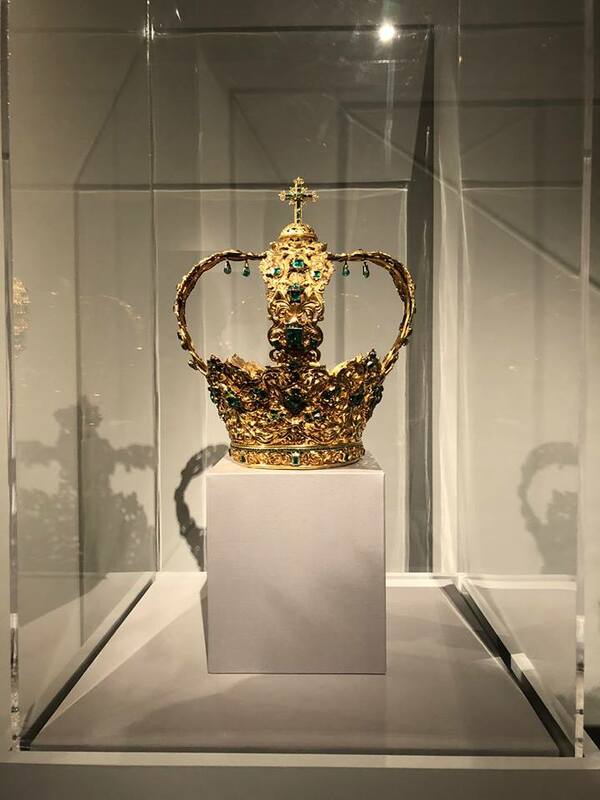 Before I go on about the beauty of this exhibition and how I felt going through it, let me tell you a little bit about my experience with exhibition previews. For the most part, the exhibitions that attract me the most are those in art museums. And the art world is, to put it simply, eccentric. Now, I don't say this negatively. I have always had an eccentric side (that has over the years mellowed out due to societal pressures to be "normal," whatever that means). I was a cheerleader in high school but also thought I was a punk rocker (I was not) so on game days I would wear my cheerleading uniform with a black, spiked choker and fishnet stockings with black combat boots. The art world is much like that sometimes; there are unique personalities everywhere, a blend of different aesthetics and a crash of seemingly different worlds. This can be both good and bad but for now, let's just focus on the good: intellectual conversations, unique fashions and an energy caused by art. Now, all these happenings that I've been to have been in D.C. The MET was my first invite in New York and New York is a whole other scene maximized. I had to go all out (as out as my wallet would allow). Now, I want to say I've shed all the insecurities of taking up space in traditionally white spaces but I do find myself being hyper-aware of my surroundings and feeling out of place sometimes. This would be one of those times. 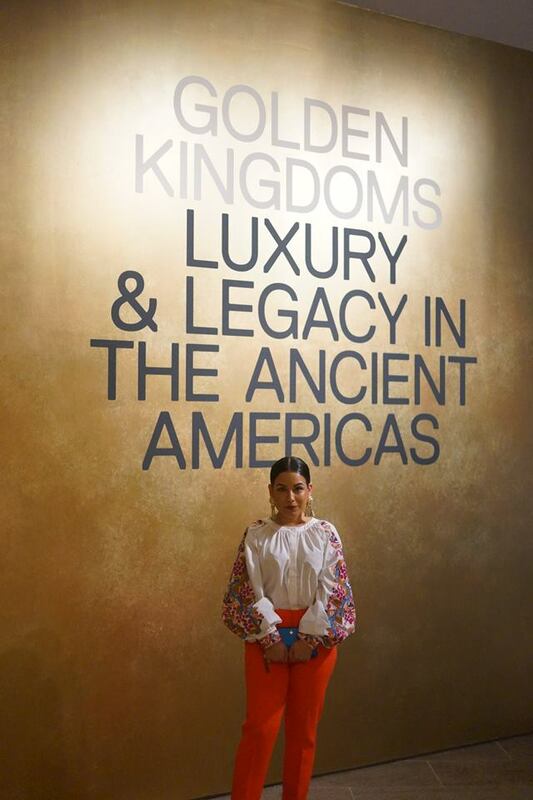 I wanted to have an amazing outfit that fit the theme of the exhibition but I was also concerned that it wouldn't exactly match the theme of "upper-class elite business attire." I wasn't sure I wanted to stand out too much. I let a few people know about this fashion concern. Should I just wear black (the official art world uniform) or do me. I picked out a few things, asked a few people for their opinion, and thought on it as if this one decision would make or break my legitimacy in this field. Notice how even these seemingly inconsequential actions are made bigger to POC because whether we would like to admit it or not, it's not inconsequential at all (read: Judge Rules Banning Dreadlocks In The Workplace Is Not Discrimination). So, after a lot of thought, a second and third (and fourth) opinion, and a call to not be afraid to take up space, I picked out my outfit. So what about the exhibition? I don't know how the exhibition was shaped at the Getty but at the MET it was quite crowded and felt small. Exhibition previews are always a surprise when it comes to the guest list size. I've been to some that have been very intimate and some that feel as if it were a grand public opening. Here, there was a sizeable amount of guests and being very petite, made it easy to slide through tight spaces but difficult when an object was being crowded. I don't necessarily blame the MET for this; spaces are just something petite humans such as myself are hyper-aware of when they realize they might have to adjust for viewing ease (i.e. when going to concerts, you won't find a better-prepared person because I make sure I am there early, in line, and ready to be front row only for the sake of seeing). I wasn't bothered. I saw bright red textiles, feathers, and gold. I saw my ancestry behind glass cases, a duty to posterity. I was curious to observe the other invitees. 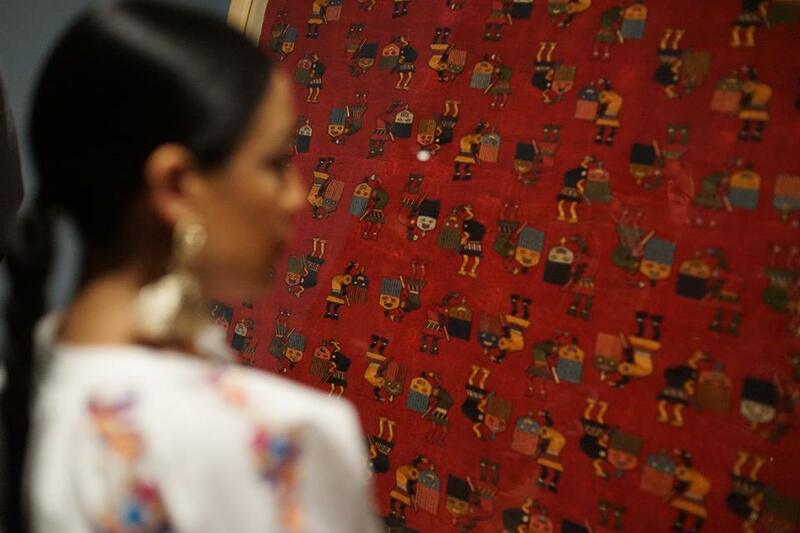 I saw awe at the intricate details of the patterns and heard enlightened discussions of a Latin history, not Westernized for once. 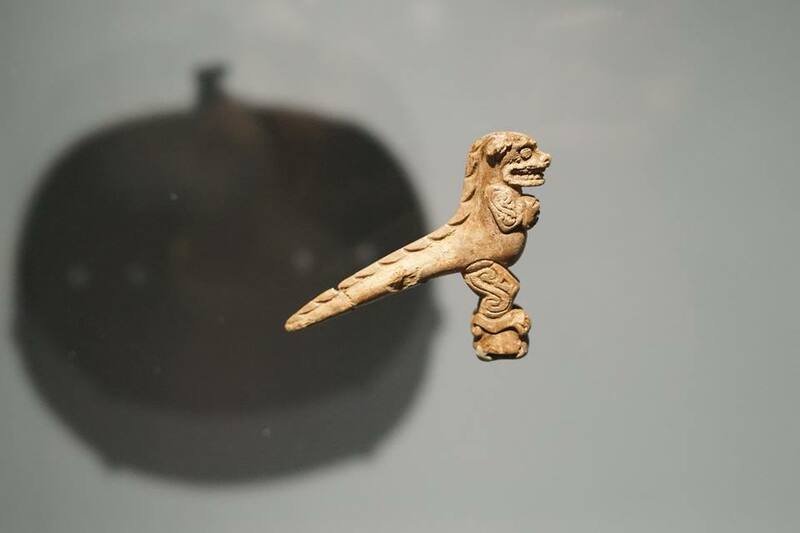 I understood the recurring irony I felt of wanting my culture and community to be recognized by large, cultural institutions while criticizing the practice of displaying questionably-acquired artifacts held by these very same institutions. "Is it only irony because these are the only two choices that exist? Can one exist without the other?," I thought. A tangled web of thoughts filled my head as I walked through the crowded spaces. 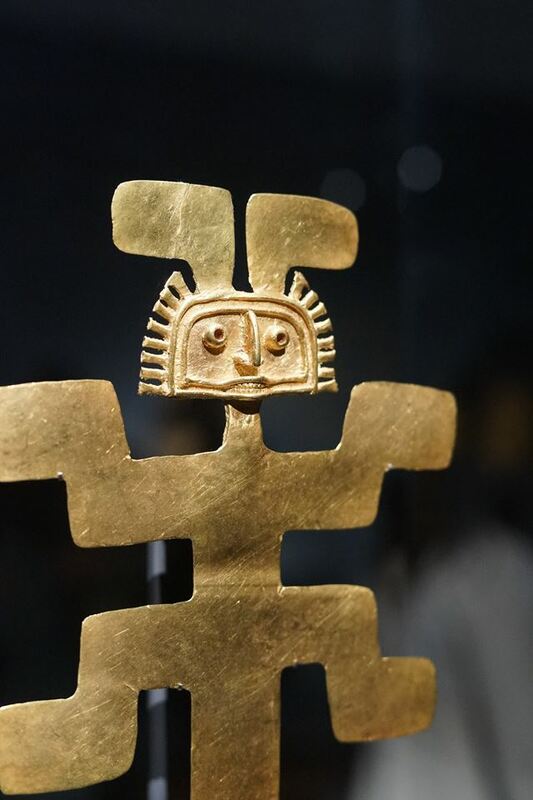 I didn't know the provenance of all the pieces on display, but I did notice labels bearing the names of many Latin American museums and I was at least a little relieved. Truthfully, I felt a little shy still but I was proud. This was for me. Few in that room could have understood what it is like to not truly own your history because of its erasure. Few could have understood what it was like to see a glimpse of that history getting its rightful recognition. These works have survived all these years and from their history, I was born. A tale was told from a perspective not often heard and the Spanish played a small role here. I wanted to take more of it in, but with the lingering conversations of guests around objects, I decided I would make another visit for quiet contemplation. 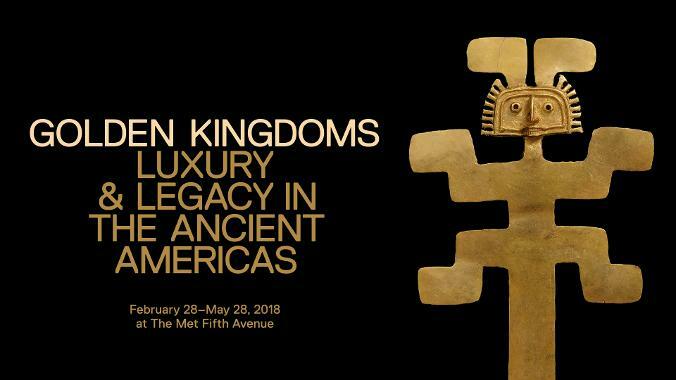 Golden Kingdoms: Luxury and Legacy in the Ancient Americas through May 28 at the Metropolitan Museum of Art.